Names go in and out of fashion. When I was in kindergarten, there were 3 Amys; we all sat together and drove the teacher crazy. But Amy isn’t a name you hear very often with children today. By the same token, I didn’t go to school with any Brittanys, Morgans, or Madisons. Then there are names that have never been popular. 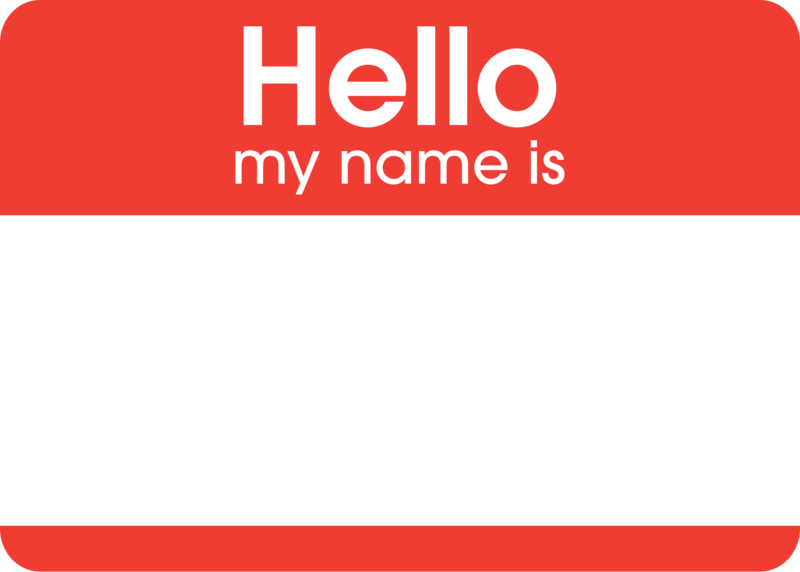 Names like Calista and Esmerelda…. and this one from my family tree: Laurestine. She became the second wife of Rezin (or Reason) Debolt on 12 October 1869 in Linn County, Missouri.1)Missouri, Marriages, 1750-1920,” index, FamilySearch (https://familysearch.org/ark:/61903/1:1:V28G-KJ1 : accessed 15 April 2015), R. A. Debolt and Laurastine U. Dinsmoor, 12 Oct 1869; citing Linn, Missouri; FHL microfilm 1,009,871. By 1870, Laurestine, Rezin, and Rezin’s children were living in Grundy County, Missouri.2)Rezin Debolt household, 1870 Federal census, Trenton Twp., Grundy Co., Missouri, p. 373, nos. 120/120. San Bernardino County Sun, 7 January 1933, p. 12, Newspapers.com. Laurestine’s husband, Rezin/Reason Debolt, was the brother of my 3rd-great-grandmother Matilda Debolt Skinner Crossen Brown McFillen. 1. ↑ Missouri, Marriages, 1750-1920,” index, FamilySearch (https://familysearch.org/ark:/61903/1:1:V28G-KJ1 : accessed 15 April 2015), R. A. Debolt and Laurastine U. Dinsmoor, 12 Oct 1869; citing Linn, Missouri; FHL microfilm 1,009,871. 2. ↑ Rezin Debolt household, 1870 Federal census, Trenton Twp., Grundy Co., Missouri, p. 373, nos. 120/120. 3. ↑ California, Death Index, 1905-1939, Ancestry.com. Digitized image of the California Death Index. Most of our ancestors follow fairly predicable patterns. Then there’s the occasional ancestor who blows all of those patterns right out of the water. For me, that ancestor is my 3rd-great-grandmother Matilda Debolt. Matilda was born in 1813 in Ohio, the daughter of George and Mary (Rider) Debolt. In 1831, she married William Harrison Skinner.1)The Holy Bible containing the Old and New Testaments, National Publishing Co., Philadelphia, no date. Family Info: Stephen Skinner Family Bible, Present Owner: Bertha Stalbaum, Location: in Valparaiso, IN in 1983. Photocopy in the Family Bible Records collection at the Ohio Genealogical Society, Bellville, Ohio. Together, Matilda and William would have nine children: Stephen Leroy, Lucinda Mary, Amaretta, Robert Matier, George Austin, John William, William Artillias, John Rezin, and Marion Washington. So far, Matilda was right on track – get married and have a passel of kids. In May 1850, Matilda’s world came down around her. William became ill and died,2) William Skinner, 1850 mortality schedule, Reading Township, Perry County, Ohio, page 925. leaving her to raise the children. Matilda and the children are enumerated in Reading Township, Perry County, Ohio3)Matilda Skinner household, 1850 federal census (population schedule), page 353a, household 456, family 456. shortly after William’s death. It’s at this point that any resemblance of “normalcy” is gone. William owned land at the time of his death, enough so that his estate needed to be administered and his children needed guardians. (Matilda, being female, did not have the legal standing to protect the legal rights of her own children.) The guardianship records revealed a tremendous amount of information not only about the children, but also about Matilda. By 1852, Matilda had married Samuel Crossen.4)George Skinner guardianship records, Perry County Probate Court, case 3353. Originals at Perry County Probate Court, New Lexington, Ohio; also available at FamilySearch.org. By 1859, Matilda was married to Joseph Brown, who was also guardian of some of her children.5)George Skinner guardianship records, Perry County Probate Court, case 3353. Originals at Perry County Probate Court, New Lexington, Ohio; also available at FamilySearch.org. No death record or tombstone for Samuel Crossen (husband #2) has been found, nor have I found a divorce record for Samuel and Matilda. If Matilda married Joseph Brown in 1859, she should be Matilda Brown on the 1860 census, right? You’d think so, but you’d be wrong. She appears as Matilda “Craven,” living with her daughter Amaretta and her family in Jay County, Indiana.6)Salathiel Skinner household, 1860 U.S. Census, Jay County, Indiana, p. 49, nos. 345/345. I suspect that “Craven” is actually “Crossen.” No other record has given Matilda’s surname as Craven. Let’s move ahead to1870. Is she a Crossen or a Brown? Neither. She’s back to using Skinner. She was living in Valparaiso, Porter County, Indiana, two doors down from her son Stephen and his family.7)Matilda Skinner household, U.S. Census, Valparaiso, Porter County, Indiana, p. 141, nos. 53/54. It is here that I lose Matilda’s trail. The only clue that I have for her after this is an SAR application that states that she died in Illinois in 1899.10)Ancestry.com., U.S., Sons of the American Revolution Membership Applications, 1889-1970, George De Nevin Skinner application, no. 91336, 1964. My next step is to follow her children and see if I can identify any who were living in Illinois in 1900 and start looking there. Though the question I’ll have to ask myself as I search for Matilda after her 1886 marriage to J.W. 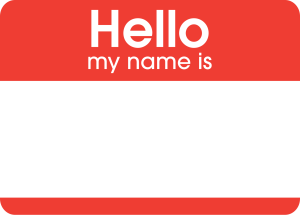 McFillen is “What name is she using?” For all I know, J.W. wasn’t her last husband. Even if he was, she has a habit of reusing old surnames. By the way, the only husband that I’ve been able to kill off (so to speak) is William Skinner (husband #1, for those who have lost track). What happened to the other 3? Matilda DeBolt Skinner Crossen Brown McFillen. 1. ↑ The Holy Bible containing the Old and New Testaments, National Publishing Co., Philadelphia, no date. Family Info: Stephen Skinner Family Bible, Present Owner: Bertha Stalbaum, Location: in Valparaiso, IN in 1983. Photocopy in the Family Bible Records collection at the Ohio Genealogical Society, Bellville, Ohio. 2. ↑ William Skinner, 1850 mortality schedule, Reading Township, Perry County, Ohio, page 925. 3. ↑ Matilda Skinner household, 1850 federal census (population schedule), page 353a, household 456, family 456. 4, 5. 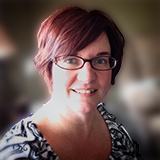 ↑ George Skinner guardianship records, Perry County Probate Court, case 3353. Originals at Perry County Probate Court, New Lexington, Ohio; also available at FamilySearch.org. 6. ↑ Salathiel Skinner household, 1860 U.S. Census, Jay County, Indiana, p. 49, nos. 345/345. 7. ↑ Matilda Skinner household, U.S. Census, Valparaiso, Porter County, Indiana, p. 141, nos. 53/54. 8. ↑ Matilda Skinner household, 1880 U.S. census, Pulaski Township, Williams County, Ohio, p. 627C, nos. 228/240. 9. 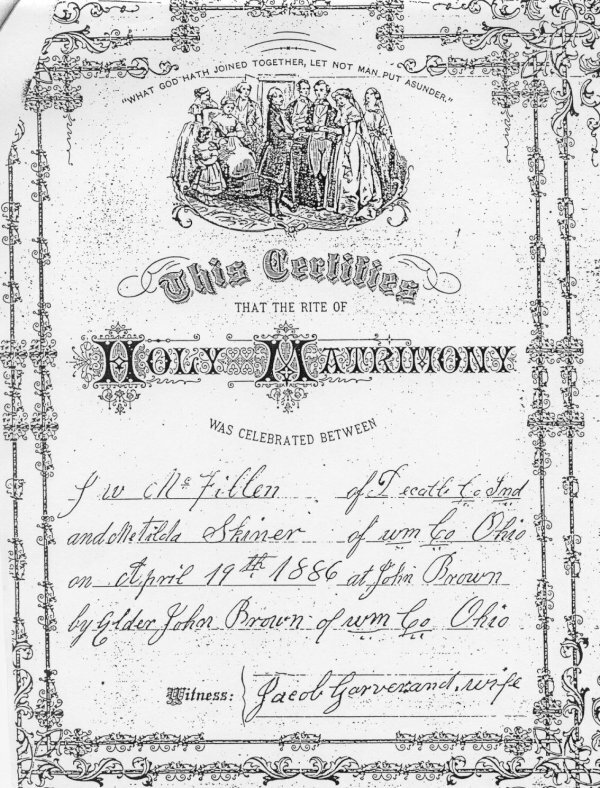 ↑ FamilySearch.org, Ohio, County Marriages, 1789-1997, J.W. McFillen/Matilda Skinner marriage, Williams County Marriage Record vol. 5., p. 280. 10. ↑ Ancestry.com., U.S., Sons of the American Revolution Membership Applications, 1889-1970, George De Nevin Skinner application, no. 91336, 1964. I come from a long line of farmers. And when I say “long line,” I mean that I have very few male ancestors who weren’t farmers. George Debolt, my 4th-great-grandfather, was an Old School Baptist minister. George was born in 1786 in Pennsylvania, probably Fayette County. By 1811, he was preaching in Lancaster, Fairfield County, Ohio. George also preached in Perry and Licking counties. With his son-in-law Eli Ashbrook, he organized the Harmony Baptist Church in Licking County. George’s first wife Mary Rider died in 1850. In 1852, George married Sarah Spence, the widow of David Allen. By 1860, George and Sarah moved to Jay County, Indiana and were living with Sarah’s son Joseph. Not surprisingly, neither the 1850 nor the 1860 census indicates George as owning any real property. Close-up of George Debolt’s tombstone, Boundary Cemetery, Jay County, Indiana. Photo by Amy Crow, 20 August 2004. 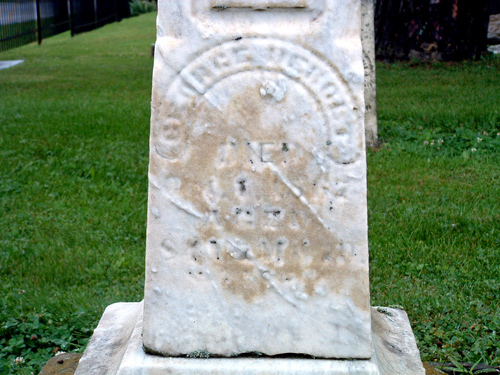 George died 1 October 1867 (likely in Jay County) and is buried in Boundary Cemetery along with his widow Sarah. George Debolt tombstone, Boundary Cemetery, Jay County, Indiana. Photo by Amy Johnson Crow, 20 August 2004.